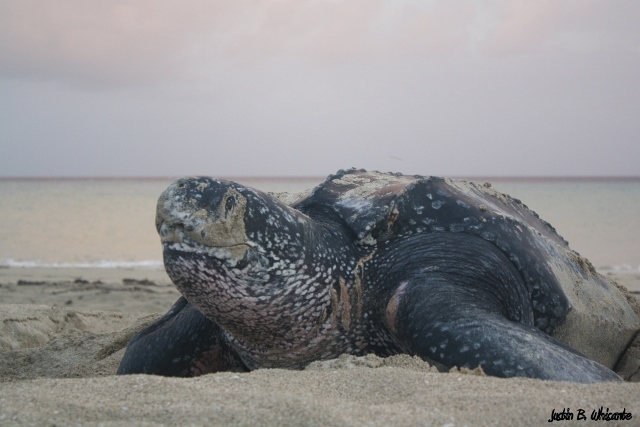 Geographic Consulting was contracted in 2011 by US Fish and Wildlife Service to run the sea turtle monitoring project at the Sandy Point National Wildlife Refuge, St. Croix, US Virgin Islands. This long term project began in 1982 and has continued since then without interruption. 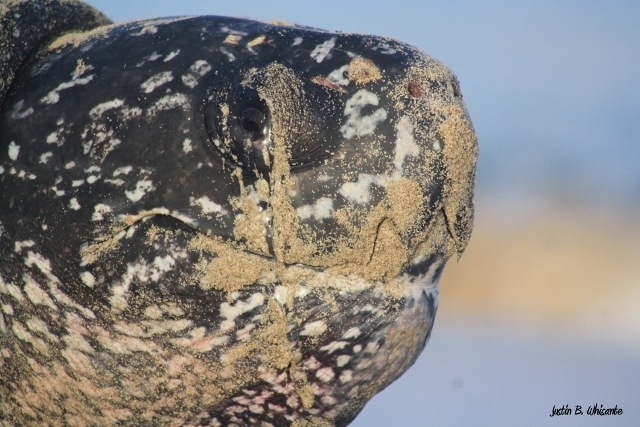 The primary focus of the monitoring program has been the federally endangered Leatherback Sea Turtle (Dermochelys coriacea), although other turtle species are monitored and tagged in some years. The leatherback is the largest of all living turtles and the 4th largest living reptile (learn more). Over the years, saturation tagging (with every effort made to tag every nesting sea turtle) has provided accurate population estimates, identified long-term population trends, and produced detailed assessments of adult morphology, remigration intervals, fecundity, and nesting activities. 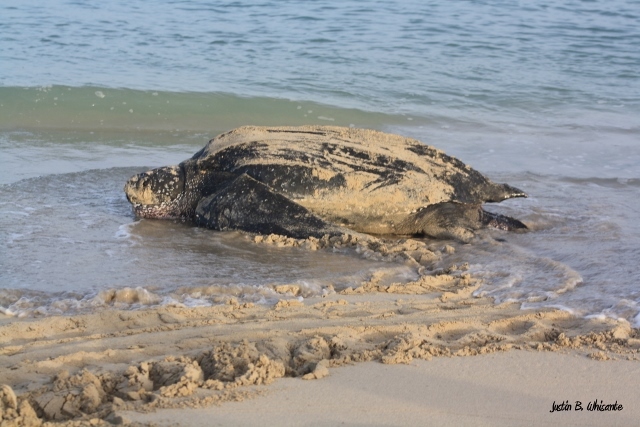 In addition to monitoring trends in leatherback nesting at Sandy Point, sea turtle nests that are laid in areas where they are unlikely to survive, due to erosion or drowning, are relocated to safer places on the refuge beach. 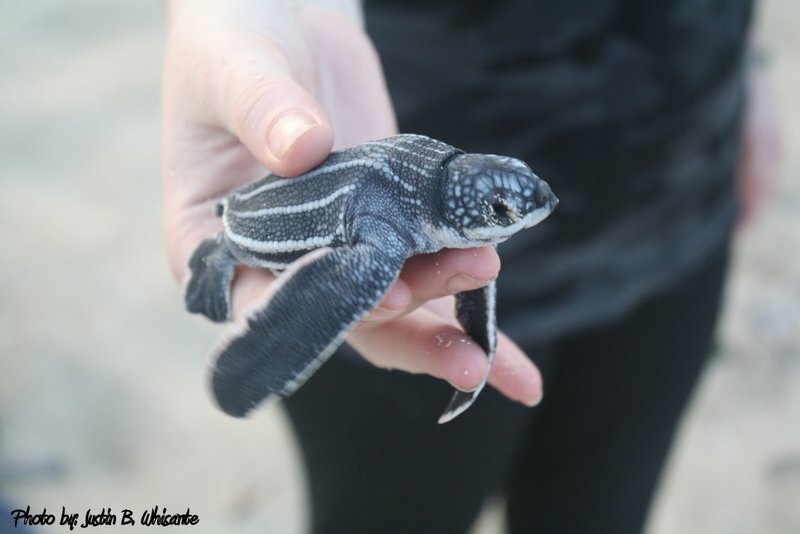 In the first three years that Geographic Consulting ran the project, over 12,000 hatchlings have been given a chance to mature into adults instead of being killed in their nests, thanks to our relocation program. 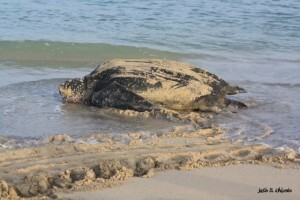 Geographic Consulting has also periodically conducted monitoring on Green and Hawksbill turtles at Sandy Point. 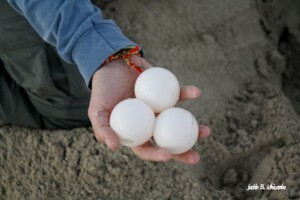 In 2011, we established that nest predation rates for these smaller turtles were far higher than originally suspected and the main culprit was the introduced mongoose (Herpestes javanicus). Jennifer Valiulis and her team of wildlife biologists at Geographic Consulting collaborated with the Sandy Point Wildlife Refuge staff and biologists with USDA – Wildlife Services to come up with a plan to control mongoose in high density nesting areas. As a result, predation was reduced significantly. 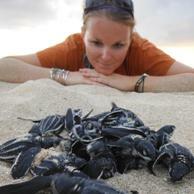 Born in St. Croix and have never seen turtles nesting. 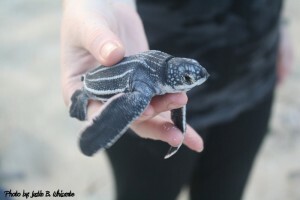 Can you email me info of turtle nesting watch on the Islands? That will be so amazing. Thanks!